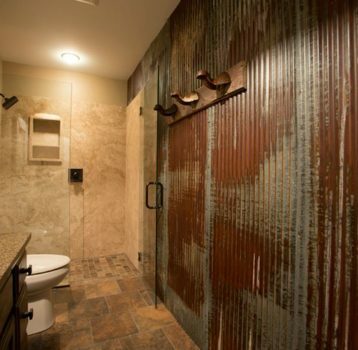 Don’t know where to start with your bathroom remodel? 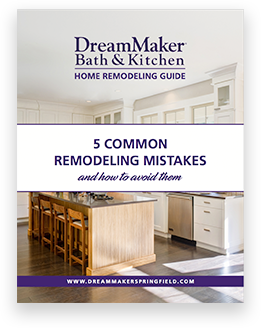 Join the hundreds of Springfield area homeowners who have enjoyed a stress-free remodeling experience with DreamMaker Bath & Kitchen. Could your bathroom use an update? Even though it is one of the most private rooms in your home, it’s also one of the most highly trafficked. 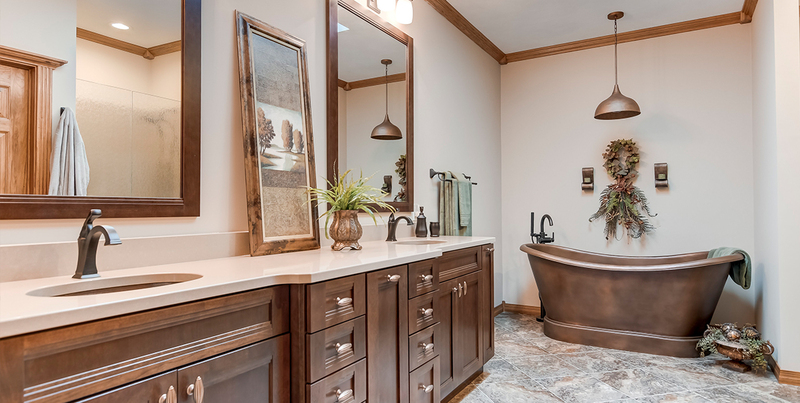 Remodeling your bathroom can transform an outdated space into one that is serene and beautiful! At DreamMaker Bath & Kitchen of Springfield, we turn your dreams into reality! As a complete design and build firm, we can handle all aspects of your bathroom remodel from start to finish. We know remodeling can be overwhelming; even when you plan to hire a professional contractor there are many decisions to be made. That is why we approach all remodel projects with the same organized Simple Process to provide a “road map” as we learn your vision for your newly remodeled space. Design, material selection, and skilled carpenters – all under one roof. This is what makes DreamMaker unique. 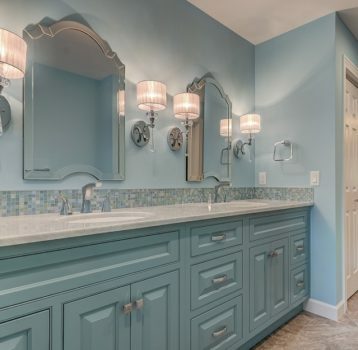 Whether you are looking for complete master bathroom renovation or want to make modest updates to a powder room, our goal is to provide personalized solutions to best fit your budget. A great way to kick off ideas for your own bathroom remodel is to view photos from bathrooms we've remodeled. 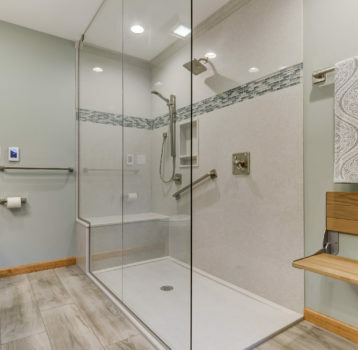 Whether we're installing new vanities, replacing sinks and faucets, making baths and showers more accessible, or laying new flooring, every update we make improves the space you use every day. We serve Springfield as well as the surrounding areas, including Athens, Chatham, Jacksonville, Leland Grove, Lincoln, New Berlin, Petersburg, Pleasant Plains, Rochester, Sherman, and Taylorville.